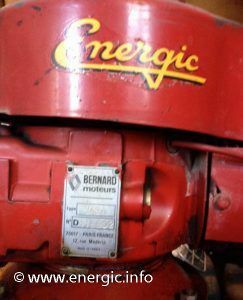 Energic Moteur Bernard type W 249A (type no. C) 4 stroke/temp. 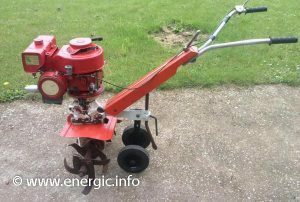 Energic Rubis motobineuse moteur Bernard W249A No. 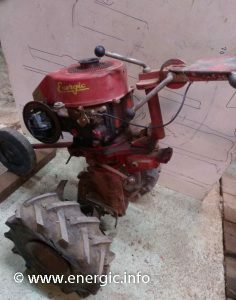 D.
Engine/Moteur. 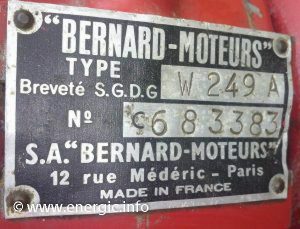 Bernard moteur 5.5cv 4 temps. (W249A), 181cm3, alésage 62m/m x course 60m/m.Single cylinder 4 stroke. 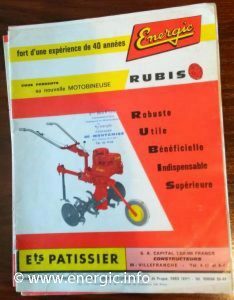 Energic Rubis motobineuse moteur Bernard W249A No. C.
Fuel consumption. 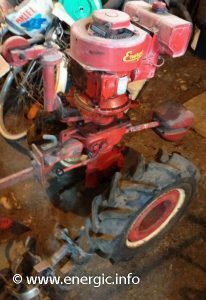 1 to 1.75 liters of fuel per hour dependent upon working conditions. The tank holds approx. 2.5 liters. 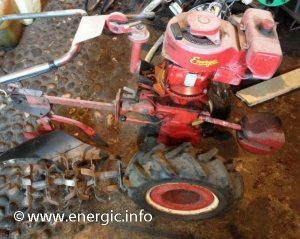 Energic Rubis motobineuse moteur Bernard W249A No.D. 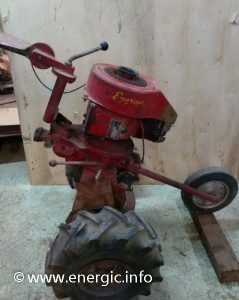 See transformed/adapted to (Voir adapté ici); Motoculteur, Mower/Tondeuse and Grass Cutter/Motofaucheuses. Adaptions. 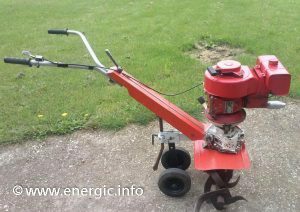 For hoeing/binage 7 setting between 10 to 53cm, Grass cutter up to 1.2m, plow/buttoir, hitch remorque, wheeled micro tracteur for pulling etc. For moteurs 5.5cv you could alter the cutting blades (couteaux becheurs) from 22cm to 135cm.